Oregon leatherwear is made from the finest American cowhide and tanned using a vegetable pit tanning process. The surface finish is completely natural and lacquer free. This is possible because each hide is individually selected for it's blemish free appearance. The leather is pre-oiled prior to sale for a soft and supple appearance. It is recommended that leather be regularly cleaned with saddle soap and occasionally treated with a good quality leather oil to ensure its lasting suppleness and strength. This Stockman's breastplate has a distinctive design with decorative creame padding and brass swage buckles. 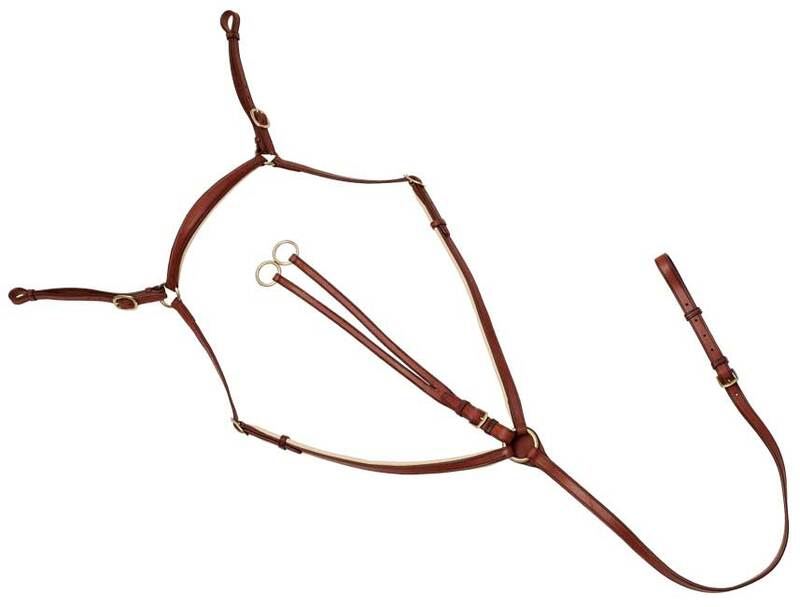 The breastplate also features a buckle-on running martingale that can be removed if not required.